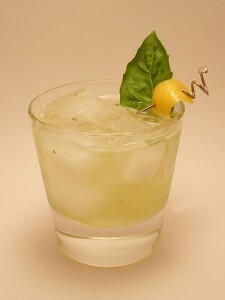 Muddle basil and simple syrup together in a cocktail shaker. Add ice, the gin and lemon juice and shake well. Strain into a rocks glass filled with ice. Garnish with a fresh basil sprig and a slice of lemon peel.